According to Premium Times, the Wife of the President, Aisha Buhari on Wednesday demanded a full retraction of a widely-circulated material distributed by Ekiti State governor, Ayo Fayose, in which he claimed to have uncovered how Mrs. Buhari was allegedly mentioned as having transferred funds to a convicted former U.S. lawmaker, Williams Jefferson. In a warning letter dispatched through her legal representatives, Mrs. Buhari said Mr. Fayose’s action was directly responsible for the publication of the “very wild and unfounded” allegations in the media. The letter, titled: “Demand for unqualified retraction of the false statement published by you in various media on the 20th of June, 2016, and subsequent dates regarding our client, Her Excellency, Mrs. Aisha Buhari the wife of President Muhammadu Buhari, GCFR,” the president’s wife gave Mr. Fayose five working days to retract the statement or face legal action. “Our client has referred to us statement made by you and published on the 20th of June, 2016 (and other subsequent days) concerning and pertaining to her person for necessary action. “The said statement which was caused by you and your agents to be widely circulated and published in various media platforms: print, electronic and online on 20th of June, 2016, contains very wild, unfounded and false allegations and imputations against the person of our client. “”Even the president cannot claim to be an angel. The estate he built in Abuja is known to us. His wife was indicted over the Halliburton Scandal (sic). When that American, Jeferson, was being sentenced, the President’s wife was mentioned as having wired $170,000 to Jefferson. Her name was on page 25 of the sentencing of Jefferson. We can serialise the judgement for people to see and read,” Ismaila Alasa and Mary Ekpene, who signed the letter on behalf of the law firm, said. Mr. Fayose had on Monday evening distributed a statement which contained excerpts of court documents sourced from the United States Department of Justice Website. In the statement, Mr. Fayose said Mrs. Buhari was an accomplice in the bribery scandal that landed Mr. Jefferson in jail, saying he added the link as a proof. 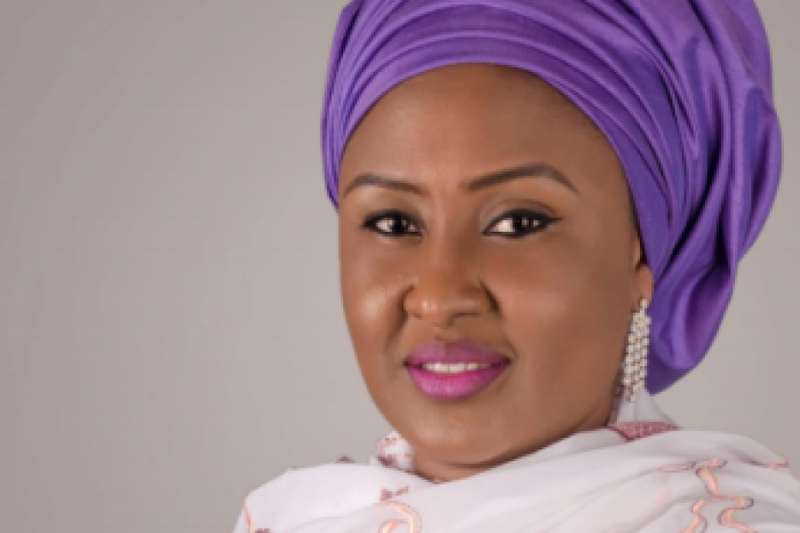 Although an Aisha Buhari was mentioned in the case files, those who investigated the matter have, however, said that Aisha Buhari is an impostor and not the wife of Mr. Buhari. Two former chairman of Nigeria’s anti-graft agency, the Economic and Financial Crimes Commission, have come out within the past two days say Mrs. Buhari had no connection with the Jefferson bribery scandal. In separate interviews on Tuesday and Wednesday, respectively, Ibrahim Lamorde, the immediate past chairman of the EFCC, and Nuhu Ribadu, the pioneer head of the agency, said they carried out extensive investigation into the case during their respective tenures and established that the woman named in the scandal was an impostor of the president’s wife. Mr. Buhari himself had in the past stated, categorically, that he had no connection with the Aisha Buhari in the Jefferson scandal, who is also said to be based in the United States.